PRO Series is available in 1 in 4 Out and 4, 8, 12, 16 input/output options. Controllers are built with enough CPU and graphics processing power to support each model accordingly. Units are equipped with DVI Inputs and HDMI outputs. (DVI Output available upon request). Full 1080p resolution output is the grounds for spectacular imagery. 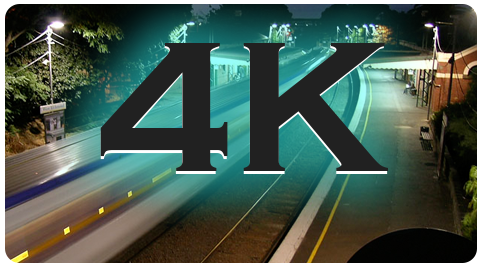 Additionally, 4K content uploaded to the server will retain 4k resolution being displayed through (4) 1920x1080 displays. Meaning, “big picture,” 4k graphics will not suffer the common resolution loss that is seen on comparable solutions. * Available on 4, 8, 16ch model. The PRO video wall processor series utilizes a Intel® Xeon® E5 series processor and S3 GPU / Capture cards. Both companies revolve around performance and reliability. Gigabit Ethernet ports are also standard to allow for faster and larger throughput to the controller. 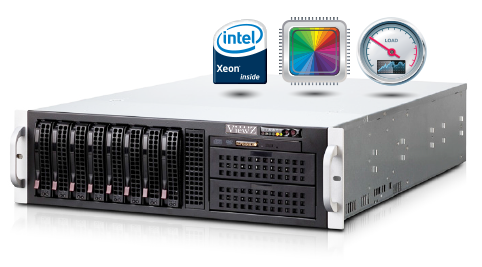 With Mission Critical applications, redundancy is a must. The ViewZ PRO series is equipped to do just that. With both a backup power supply and redundant system/storage drive through RAID – 0, you can have peace of mind that you will be operating 24/7. PRO video wall series is ready to run 24/7/365 in any purpose. The PRO series is engineered with high quality, high reliability components. 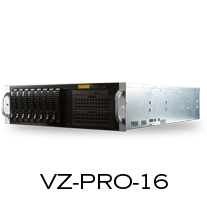 In addition to dual power supply and RAID setup, the PRO series also has features such as; error correcting memory, hot-swappable fans, dynamic thermal management and internal diagnostic software ensure your system is available for 24/7 operation. 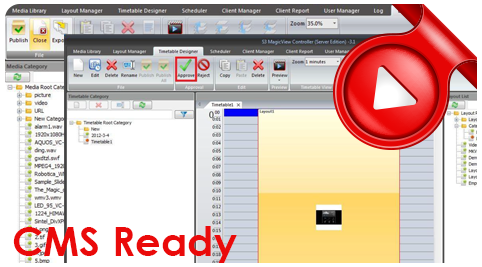 PRO series' CMS is an uncomplicated and time-saving process. You don’t even need to make every your content as one format to play back media files or source format. With CMS of PRO series, you have the creative freedom to make the most of your high resolution digital canvas with stunning graphics and video playback. PRO series' CMS(Content Management Software) is a powerful and user-friendly software for designing, distributing and displaying of digital signage. It combines the qualities of traditional multimedia with the graphics power of contemporary computer technology. 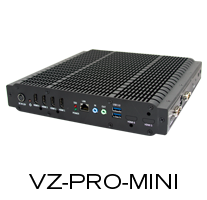 PRO series CMS can be applied on a variety of digital signage systems, from single-computer systems to scalable multi-computer systems on local or remote systems.